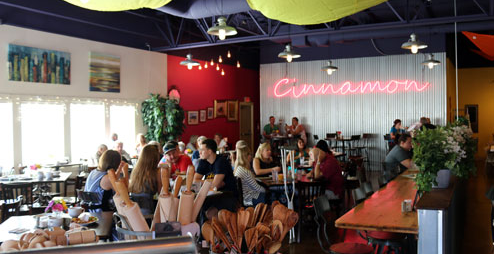 Our Customer of the Month is Albuquerque’s own Cinnamon Sugar and Spice Cafe! For the last two years, Cinnamon Cafe has been one of our favorite spots for New Mexican/American/Greek breakfast and lunch in the Heights! They also have a gift shop and offer cooking and baking classes. Try a cup of our House Blend while you’re there. No matter where you are in New Mexico, chances are you can get a fresh cup for Red Rock Roasters coffee. Check out our list of partners to find the nearest one.